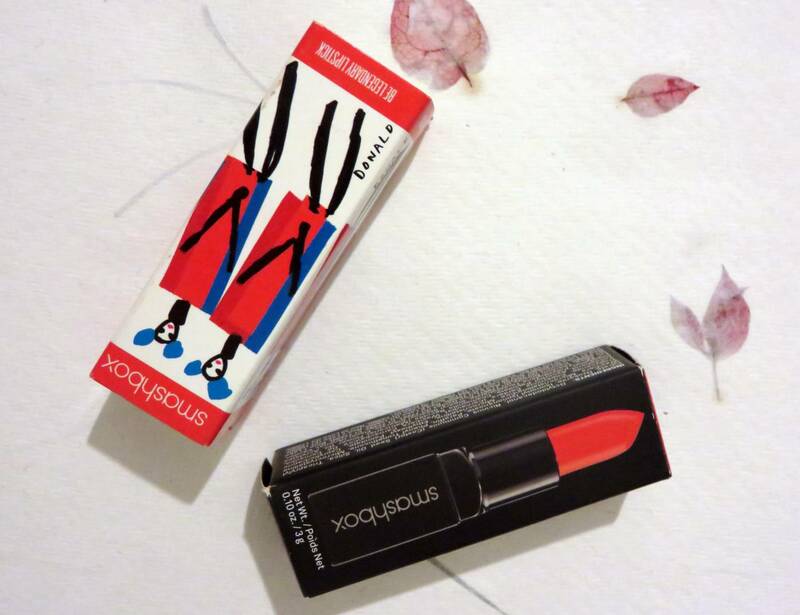 So this blog post is way overdue: I have been meaning to review my favourite Smashbox lip product for soooooo long you wouldn’t believe! 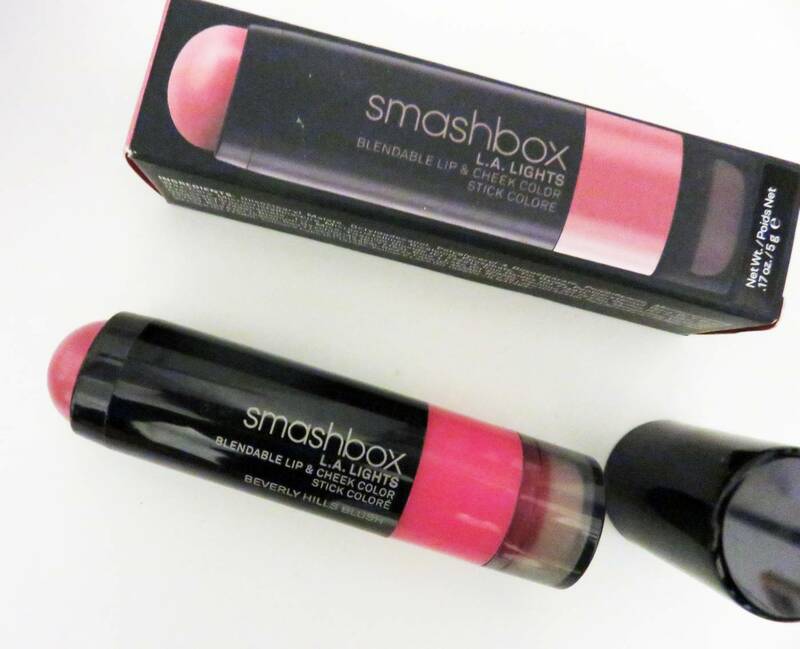 So many other things kept getting in the way, but that’s no excuse, I’ve found a fantastic lip and cheek product from Smashbox and I really should have raved about it as soon as I discovered it. Anyway, I have finally gotten myself round to reviewing this, and I have also been wearing it a number of different ways over the Christmas holiday period to show you too. The product is the Smashbox L.A Lights Blendable Lip and Cheek Colour in Beverly Hills Blush, suitable for adding a pop of pink to both lips and cheeks. The reason I love this product so much is that I actually struggle with using cream products on my cheeks – I need them to be really light in texture and be of such a sheer colour that they can be layered up and blended in to create just the smallest touch of colour on my cheeks. I have to admit I’m a powder girl all the way when it comes to blush, and I’m a nightmare with using cream blushers. Luckily, this one is so simple to use, it’s literally fool proof. The slightest bit of colour rubs off onto the skin and you can just keep layering up and blending in, watching it smooth into foundation without any harsh lines or rubbing the foundation off. 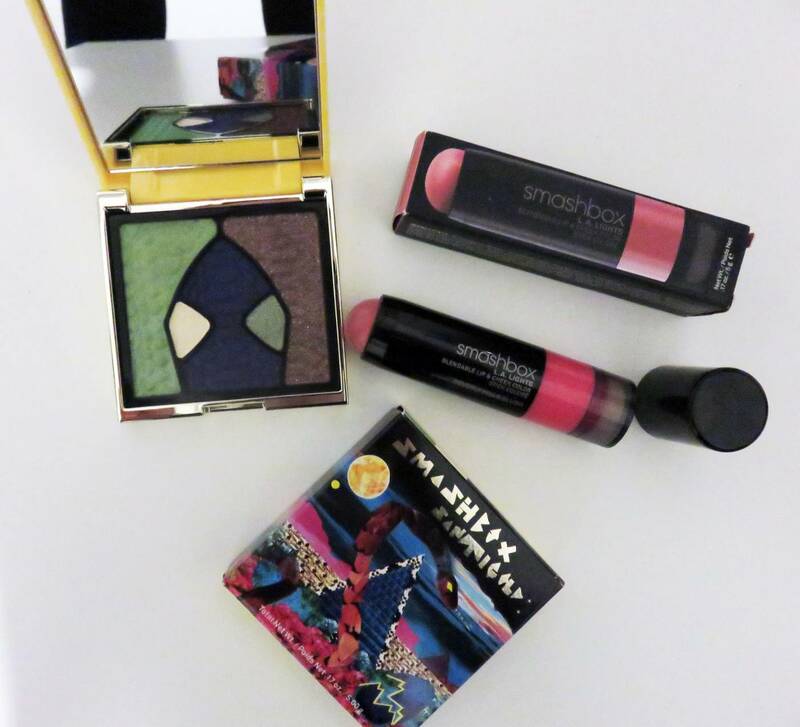 I’ve lately been exploring a number of Smashbox products along with the L.A Lights Lip & Cheek Colour. 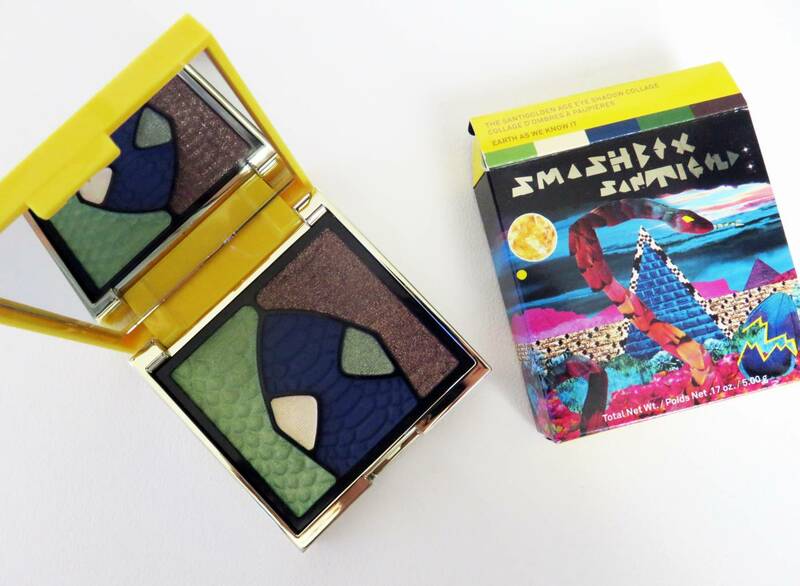 One of my ultimate favourites is this Smashbox Santigold Eyeshadow Palette – how cool and quirky is this? Is features metallic bronze, sheer pale green, deep blue and white, reminiscent of the Egyptian makeup era. 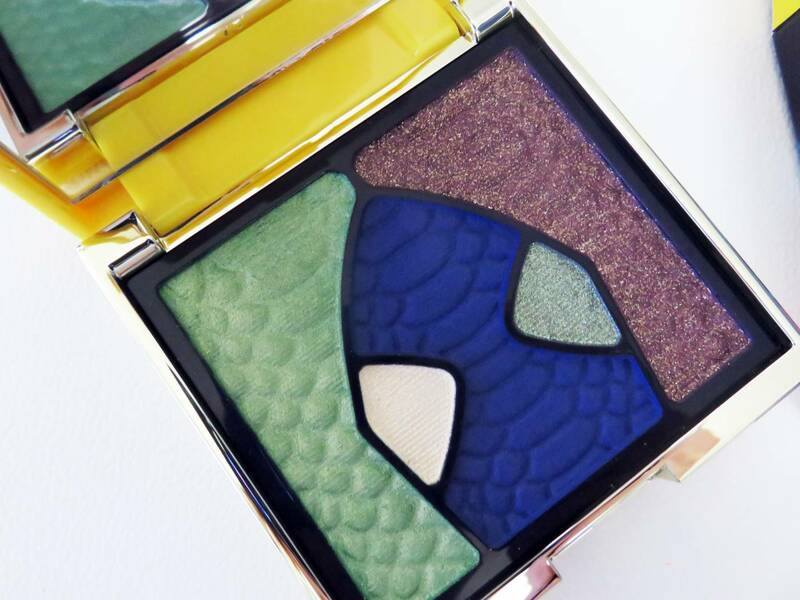 The palette is inspired by those Elizabeth Taylor Cleopatra eyes: the dramatic golden age, where there is a world where the earth, stars, humans, aliens and all co-exist together. Hence the super fun alien image included in the palette! 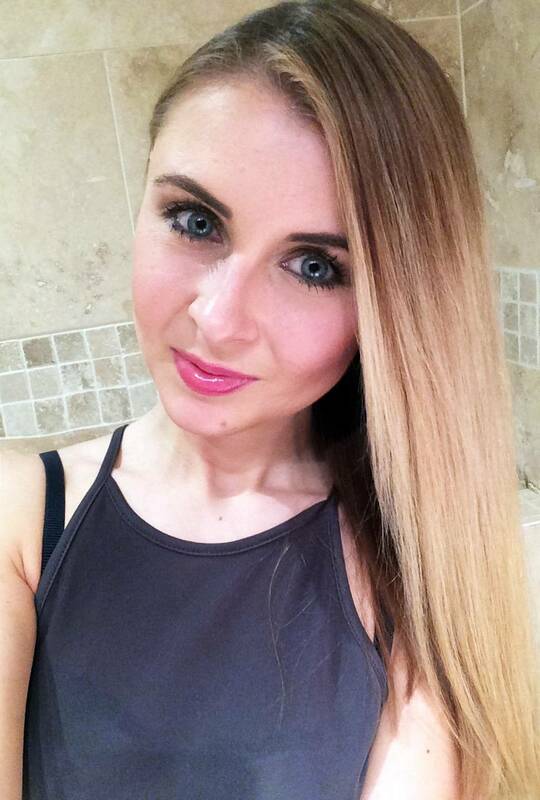 I’ve been wearing a touch of the bronze toned down with the white on my photos at the end of this blog post. 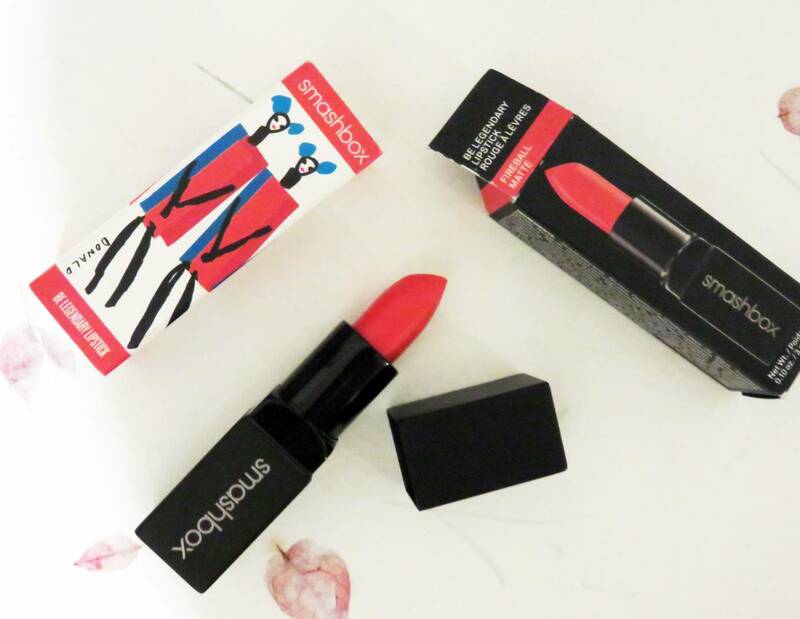 If your an avid red lipstick wearer, I’m sure you’ll share my love also with the Smashbox + Donald Fireball Matte Lipstick – a true, stay in place bold red shade with the tiniest hint of raspberry in my opinion. It glides on effortlessly and has a creamy matte finish, not sinking in any lip lines, and doesn’t budge for hours. 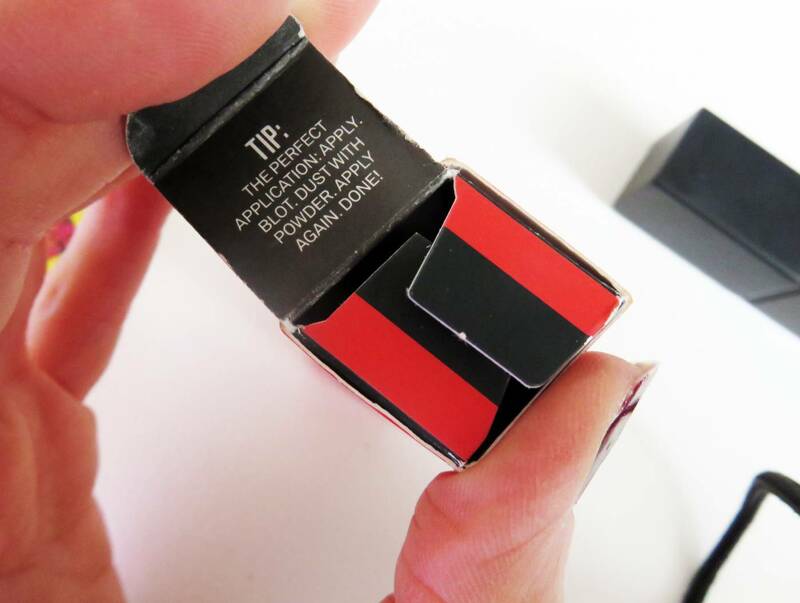 If I’m sporting quite a low key makeup look, I like to just slick on a bold red to instantly just perk up my makeup look, and it does wonders for brightening up my face. 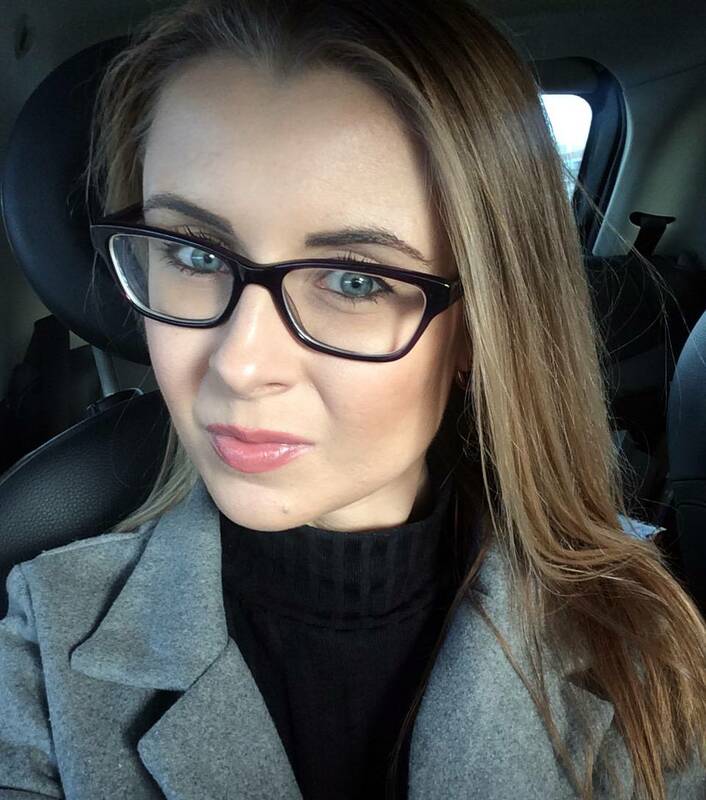 If your a busy girl and enjoy having products which double up their usage, then I think you’ll be a fan of the Lip & Cheek Colour. The shade in particular – Beverly Hills Blush – is a soft dusky rose shade, with s sheer tint and is virtually fragrance free. I’ve been layering it up onto my lips with a lip brush for those days I have wanted a more obvious makeup look, and coating with a shade of clear gloss from MAC. 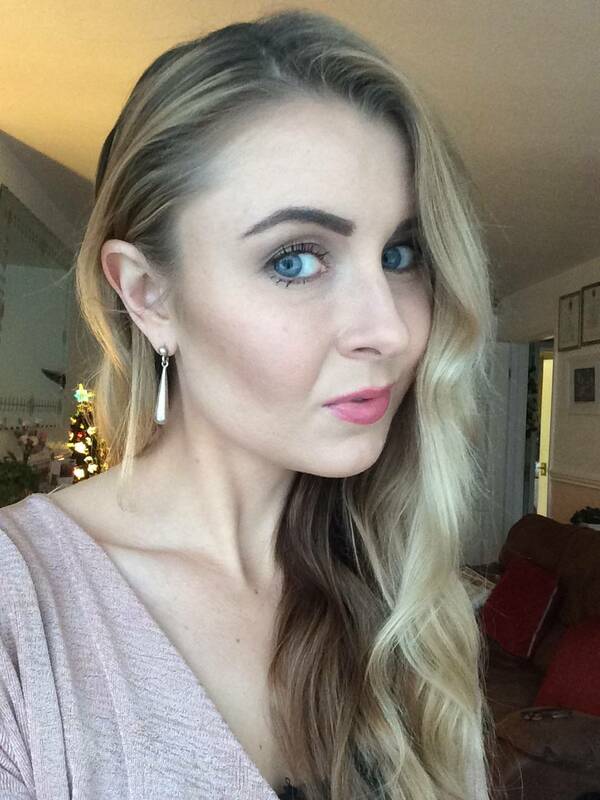 It really adds that pretty English Rose finish to my daily makeup, subtle enough to be used for everyday, yet pigmented enough to bring a flirty, girly look to my ‘face of the day’ as us beauty bloggers say! This lovely blendable product costs £25 and is available at Smashbox, and sprung to mind as the perfect gift for the make-up addicts out there who love to multi use their lip and cheek colours. I really would recommend trying the Beverly Hills Blush shade as the tester one, as it’s such a universal shade and super easy to use. My new favourite product for December!